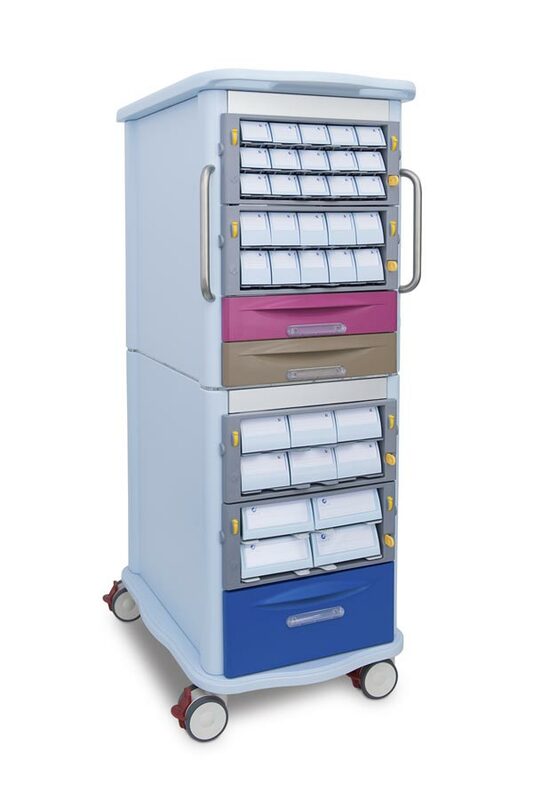 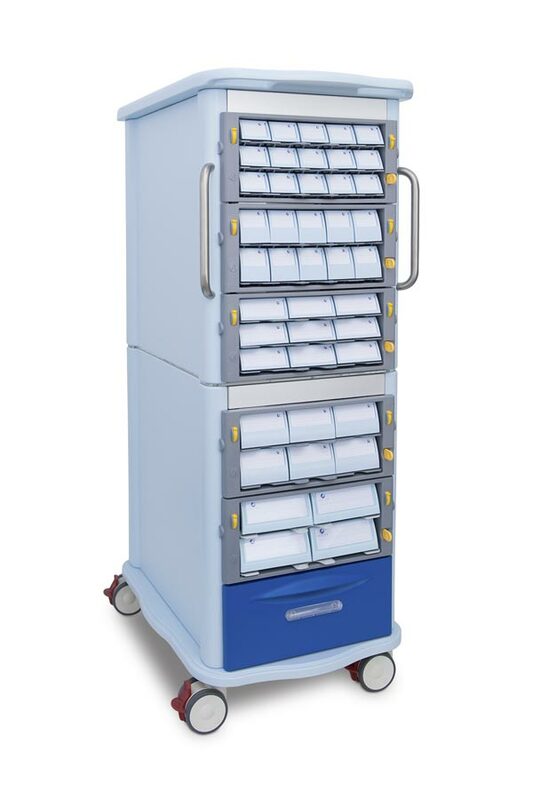 The Aurion Mini System offers a new and simple way to handle your medicine logistic and hospital supplies, allowing a safe and quick integration of medicine logistics and distribution, from pharmacy to patients. 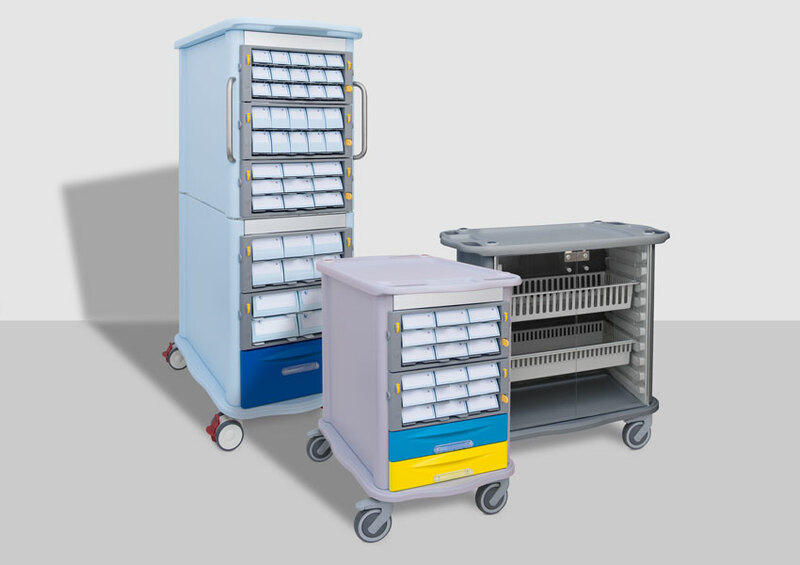 The Aurion Mini System trolleys have been designed with the purpose to be simple and functional with the usual Aurion quality. 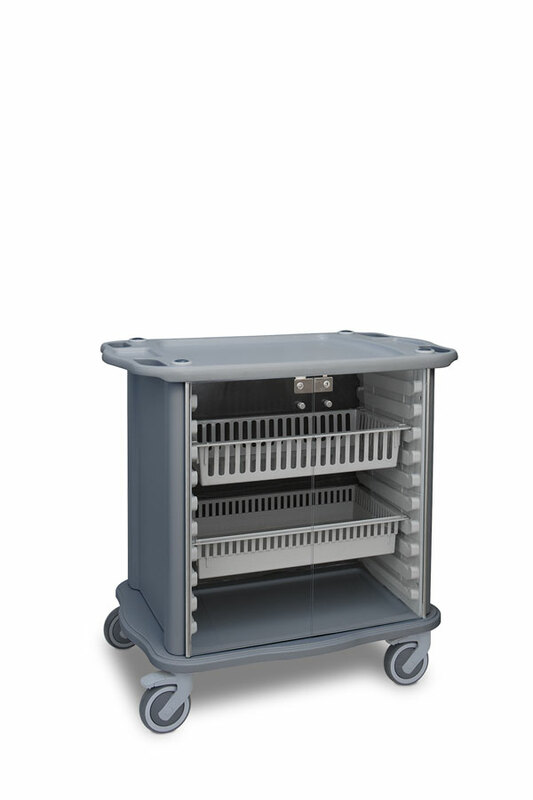 Top, base and sides made in Baydur® Polyurethane (internal sides in ABS) assure lightness, sturdiness and easy to clean. 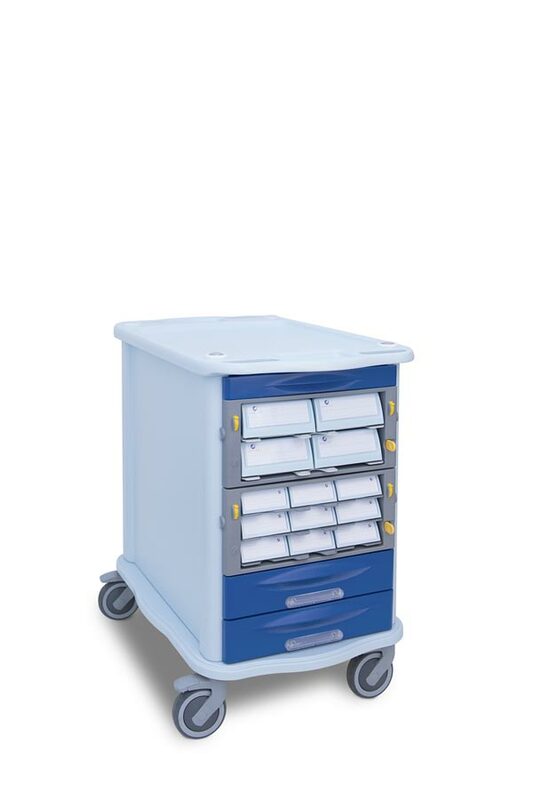 The Aurion Mini System trolleys endless possibilities of configuration and thanks to the large range of accessories, can be update and adapt to the most specific needs. 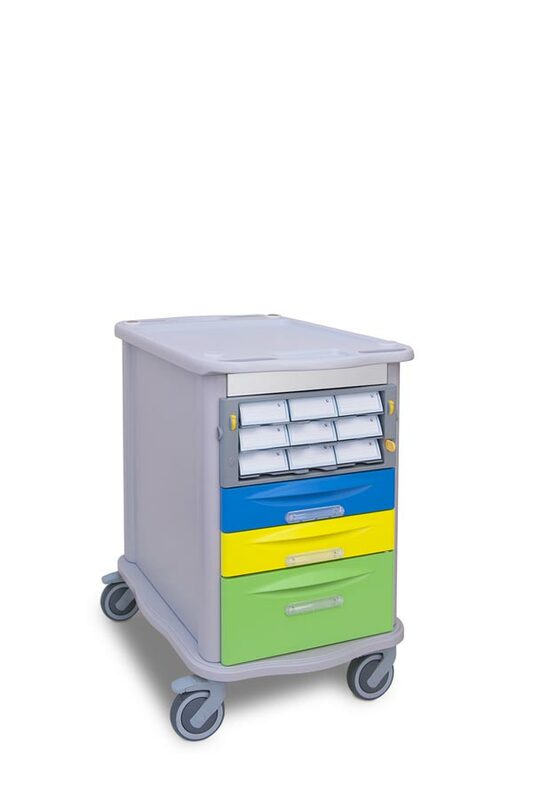 The simple way to handle your hospital supplies. 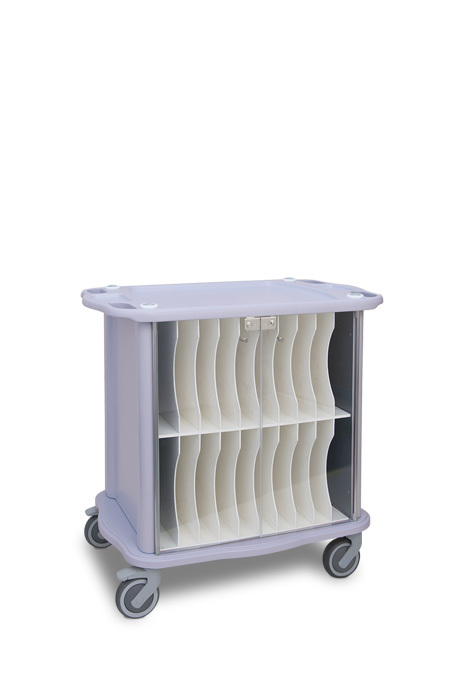 Produced by: Gamma Poliuretani s.r.l.